Aikatsu Stars! – 098 | Mezashite! This episode was so fast I almost got whiplash, so watch out. And truly, we were the Kemono Friends. EDIT: I forgot to mention! I’m hosting another panel at Anime Boston this year titled “Behind the Subs”! And yes, it’s all about how we make subtitles. It’s Friday at 11 AM in Hynes 306. I remembered to add this kind of late, so I’ll say it again in the next post release. I’m very disappointed to hear they are [spoiler] cutting Laura out of the show [/spoiler]. The connection between Yuzu and Lily eases and distracts from the pain, but not enough. Hoping next week’s episode will make me feel a bit better about it, but I doubt it. Well, the show is ending in two episodes, so it’s less cutting out and more giving closure. 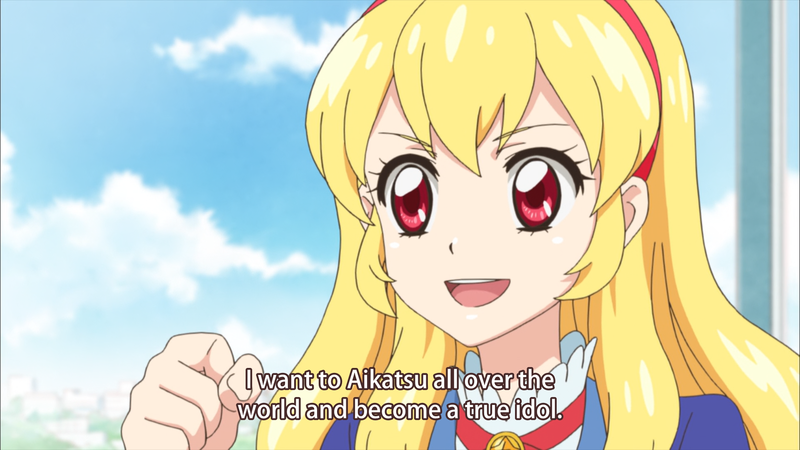 I bet if Aikatsu Stars had continued into its 3rd season, then perhaps Laura’s fate could have taken a different path. But then again, we may never know. In retrospect, I doubt that a third season was ever planned. Maybe during the first two cours of the season they were prepared to do so, but these final two cours have been all about wrapping it up. Which makes sense, given that development for Friends would have began around September or so. Well, it’s… the end of the show. It’s not like she’ll cease to exist in the Stars universe; she’ll keep on showing up in media and should get some new songs eventually if Photokatsu keeps going. From a writing standpoint, you have to resolve (or don’t, but that’s bad writing) any remaining plotlines that exist with the secondary characters, which is what we’ve been seeing these last few episodes. 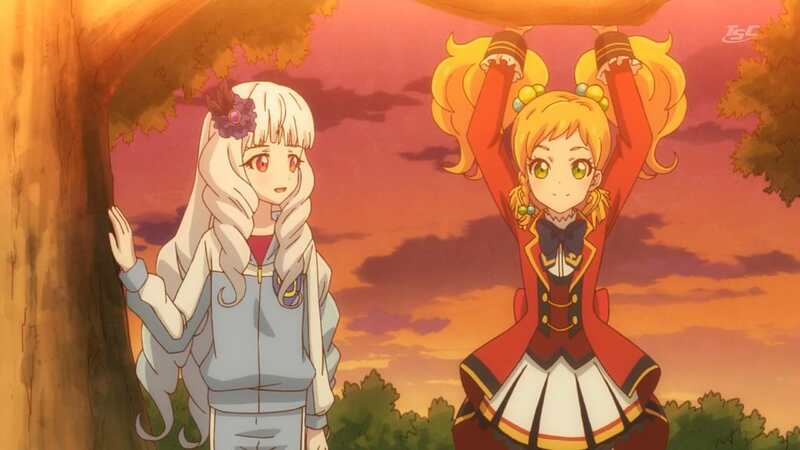 The goal is undoubtedly to bring it back to Yume and Hime by episode 100 and then finish that, as Aikatsu 178 did with Akari and Ichigo. That is just how you deal with a long, character-driven story with a definitive end. 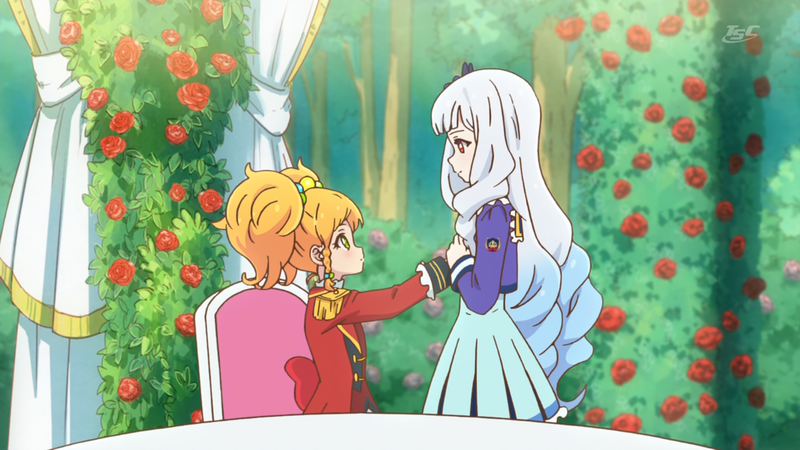 If you kept everything going as-is with no resolution in sight, Aikatsu Stars wouldn’t have a satisfying ending. Teruo Satou wants to provide us with closure, and he’s doing exactly that. That’s not to say your pain is invalid—the purpose of writing out a character like this is to make you feel that exact pain and sorrow—but you’re likely missing the point if you feel personally wronged by it. Hopefully it is just net chatter, but there has been a lot of fear on Japanese twitter that photokatsu might end service this June or July. The koukanjo cards started having no expiration date this year, the last one being 6/8 I believe? Also, the question of new original singles is up in the air, with Star Anis and Aikatsu Stars retiring. Plus, Aikatsu Scrapbook 4 had its released postponed, than cancelled/changed to be Aikatsu Scrapbook SP coming out in May with more songs. All of this stuff could mean nothing, but every development sends a wave of panic through the net at least. Glossing over the S4 selection makes sense. It was never the focus during this season, so it would be pointless to have it suddenly take center stage at the end. Yuzu X Lilienne is such a nice yuri couple. Didn’t it look like Yuzu almost lost her balance when she jumped onto the state with Lilienne? Just like Akari did the first time she shared the stage with Ichigo. That’s surprising for the top student in the Dance Class.